A blog that documents my travel experiences, adventures and life's little moments. Where the joy lies in the journey. There’s no end to all the crazy, stupid things you can do when you’re with friends – but the stories you get to tell – and retell – are simply epic. 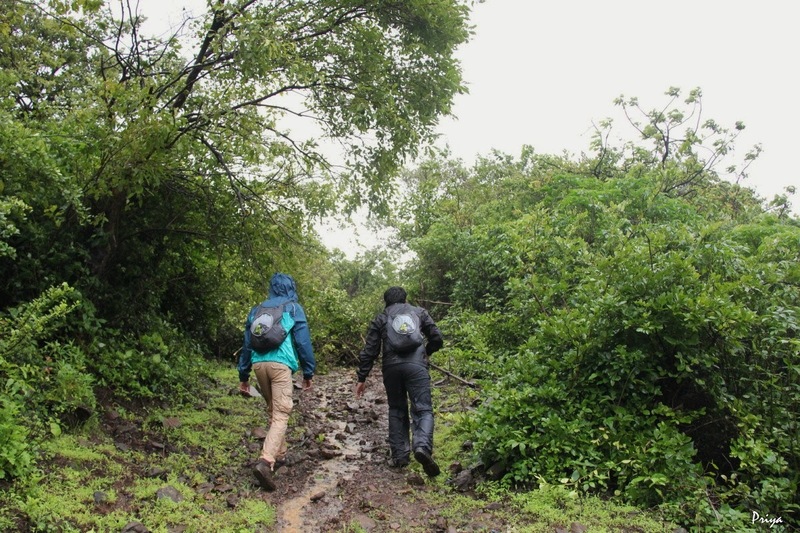 Like the trek to Visapur Fort. 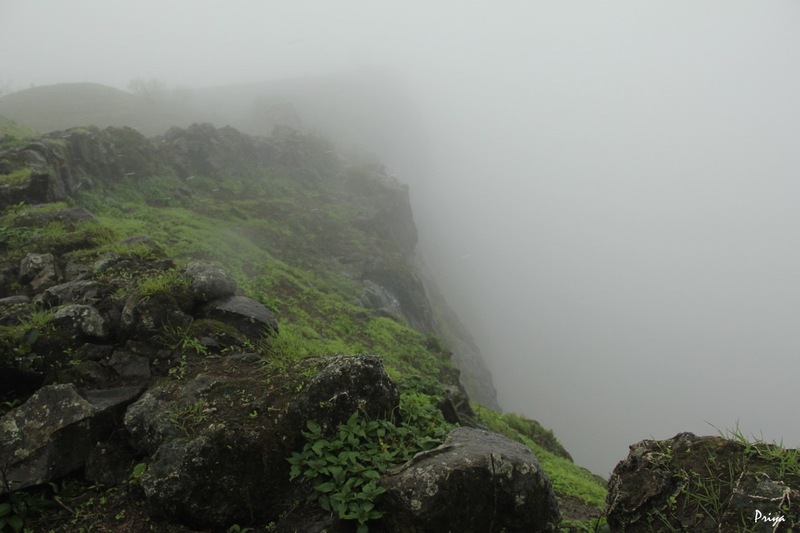 We started out early on Saturday morning, in three cars, and drove to the base of Visapur Fort. 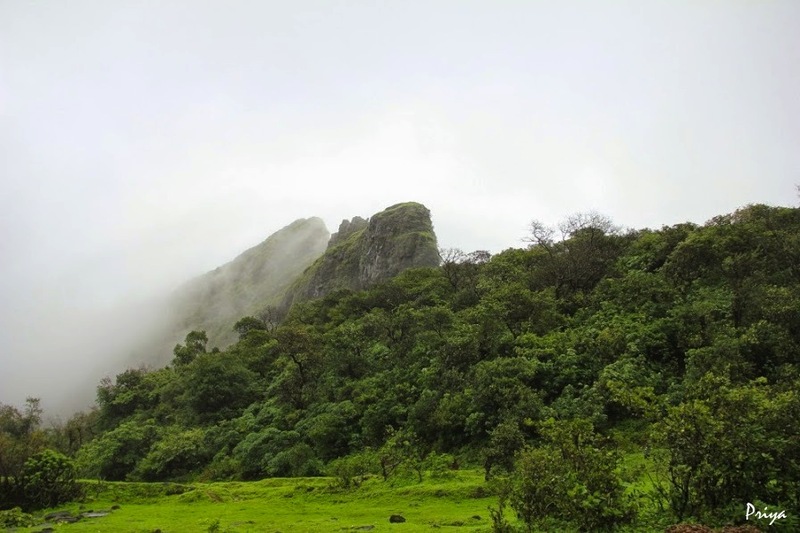 It took us roughly an hour and a half to get there, following the NH4 to Lonavala, from where we drove down the scenic road leading to Lohagad, and further on to Visapur. 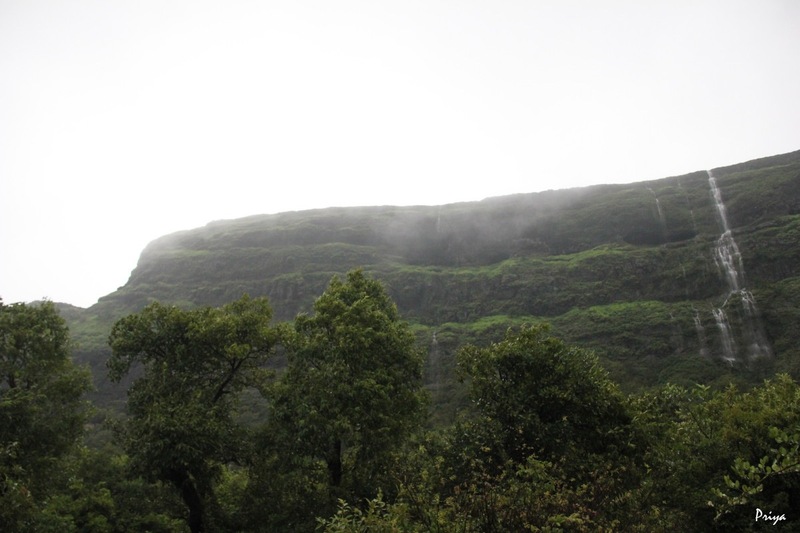 While Pune had been cloudy but dry when we left it, Lonavala welcomed us with rain. 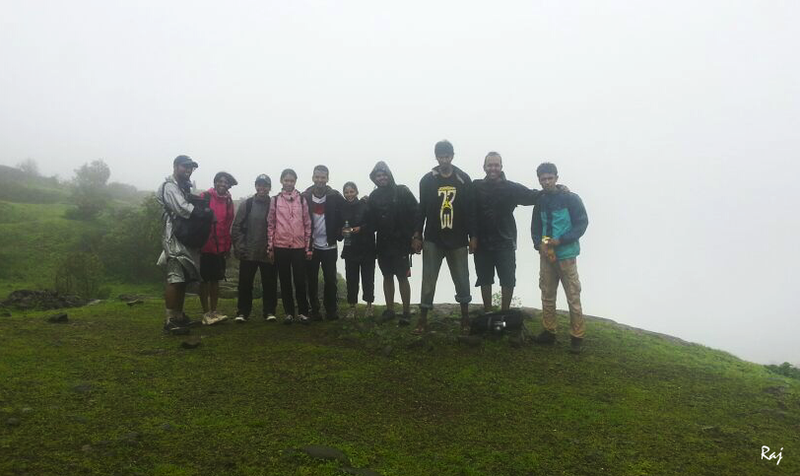 It was drizzling lightly when we started the trek, but the rain became relentless by the time we reached the top. 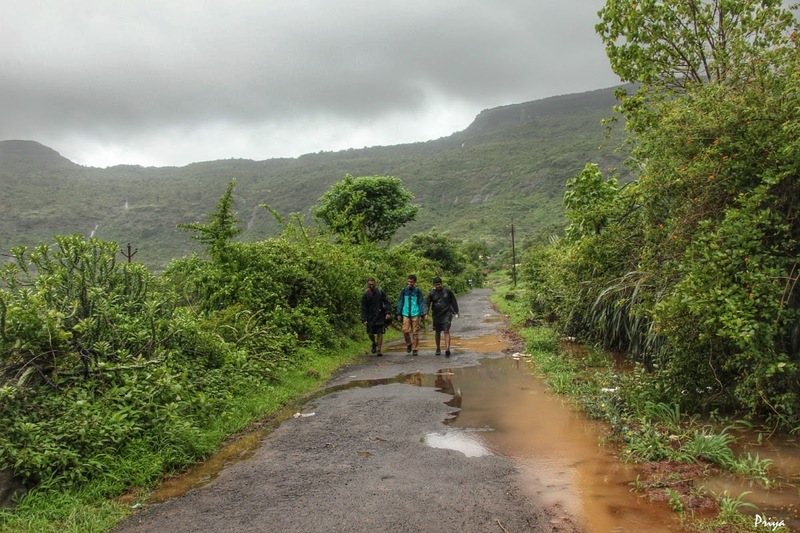 We parked our cars at the base of the fort and started out, raincoats on, umbrellas out, and cameras and cellphones wrapped safely in plastic and buried in our backpacks – to be pulled out for a few hurried pictures when the rain would stop for a few precious seconds. 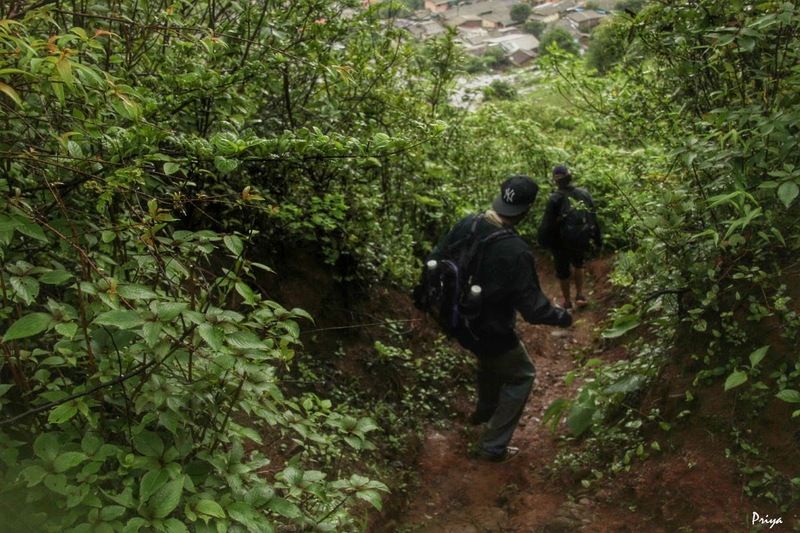 For the first few meters, there seemed no upward incline in our path, causing us to more-than-once doubt our route. We trudged on, though, through wide, muddy lanes that went on to becoming really narrow thorn-bush lined alleys which we had to squeeze through and finally yucky, mucky pathways which sucked our shoes in. We reached a clearing of sorts, beyond which we weren’t quite sure which way to proceed. ‘Onward’ seemed the best way to go, and we decided to take the ‘road’ not taken. Somewhere in another parallel universe, I suspect, Robert Frost must have been smiling, approving. And as his poem promises, it made all the difference. 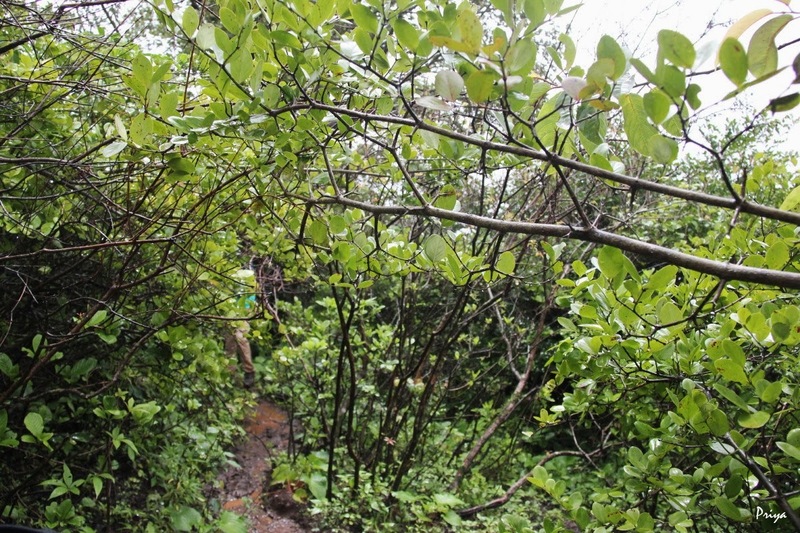 For instance, we came across a small waterfall that tripped across our path and over our shoes before hurrying over the edge. We also encountered this bigger, amazing waterfall that we climbed up a short distance, before planting our feet on firm ground again. 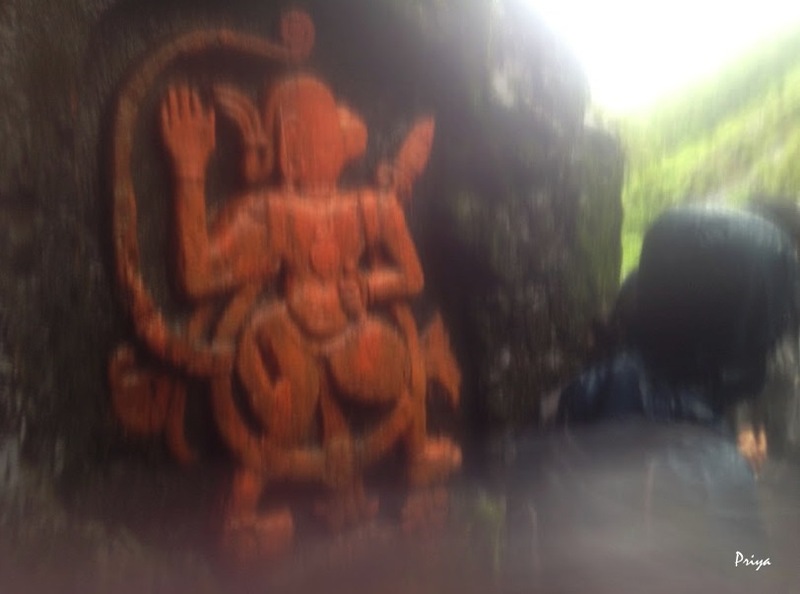 We arrived at a little cave, beside which was carved, on sheer rock, an image of Hanuman, probably the patron deity of the fort. Beyond this, stone steps led up to the fort. 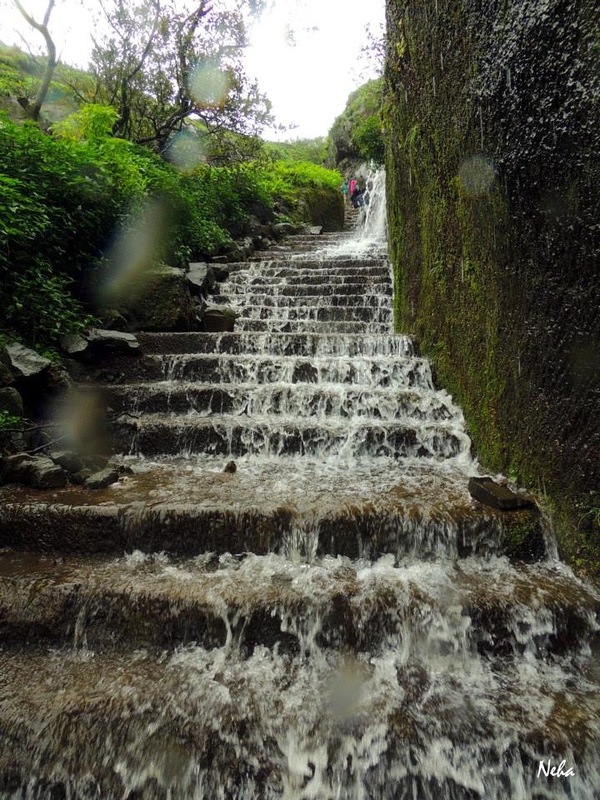 Water cascaded down these steps, making them rather slippery. It took us almost three hours to reach the top – but that was mostly because of all the photo ops along the way that we couldn’t possibly miss! The view from up there – when the passing clouds allowed it – was simply grand! 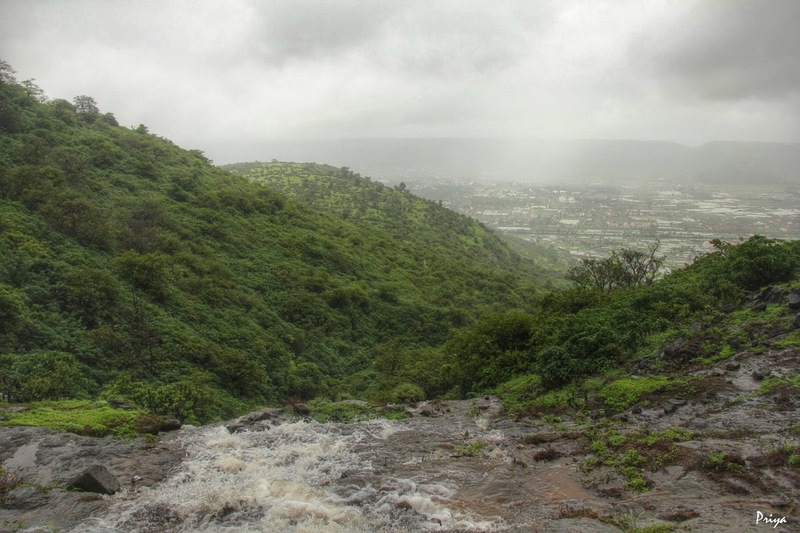 We walked along the massive stone fortification for a short distance till we found a particular section where the strong winds blew drops of water from tiny waterfalls cascading down the fort’s steep slopes, upward. 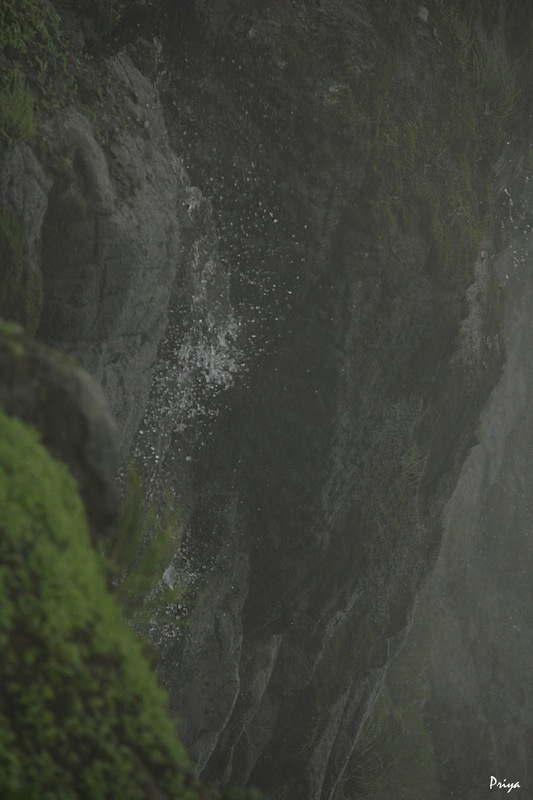 It was astonishing to see the water drops defy gravity and rise upward from the foggy depths. 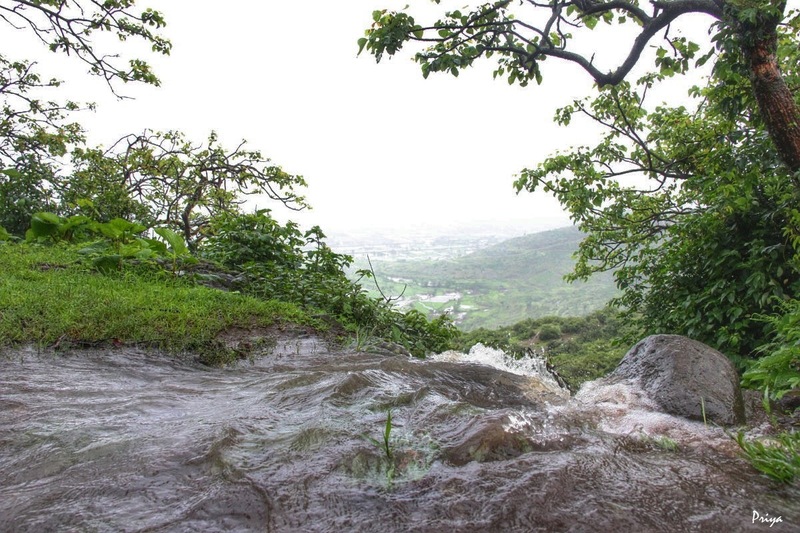 We were being pelted by rainwater from above and water drops from below – a totally weird experience! We then scouted for a place to park for lunch. We couldn’t find any covered area, so had to have lunch standing up, under the rain. We made sandwiches under an umbrella, spreading slices of bread with butter and jam – and the occasional raindrop – and shared the snacks that each of us had carried along. As far as lunches go, this one was surreal! We wandered within the walls of the fort for a while, coming across a roofless, rectangular stone structure built on a stone platform. We were standing amid the ruins of the Peshwa’s palace. Balaji Vishwanath, the first Peshwa of the Maratha Empire, had built Visapur Fort during 1713-1720 CE. 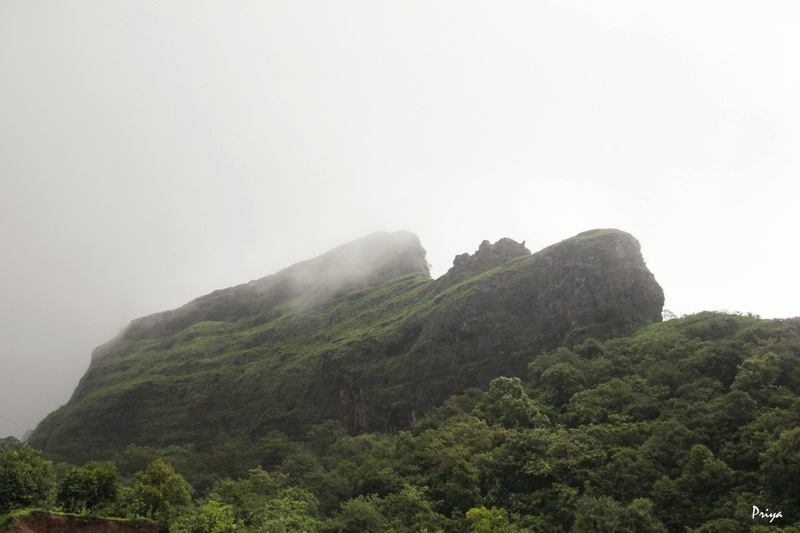 The history of Visapur is said to be linked closely to that of its twin fort, Lohagad, located a short distance away. In 1818, the British conquered both forts, and recognizing the strategic importance of Visapur, had blown up almost everything within the fort, leaving very less standing. 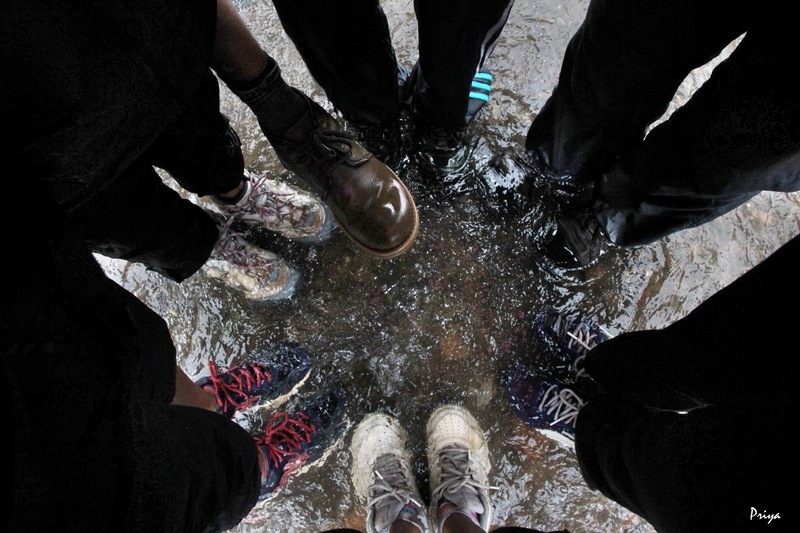 But this piece of history didn’t particularly come to mind as we stood at the top, shivering in our water-soaked shoes. It was cold, wet and wildly, mistily beautiful! And soon, it was time to leave. We descended the stone steps and retraced our path. When we reached the waterfall, we decided it would take us less time to just follow the flow of the water instead of walking endlessly around the hill, the way we had come. 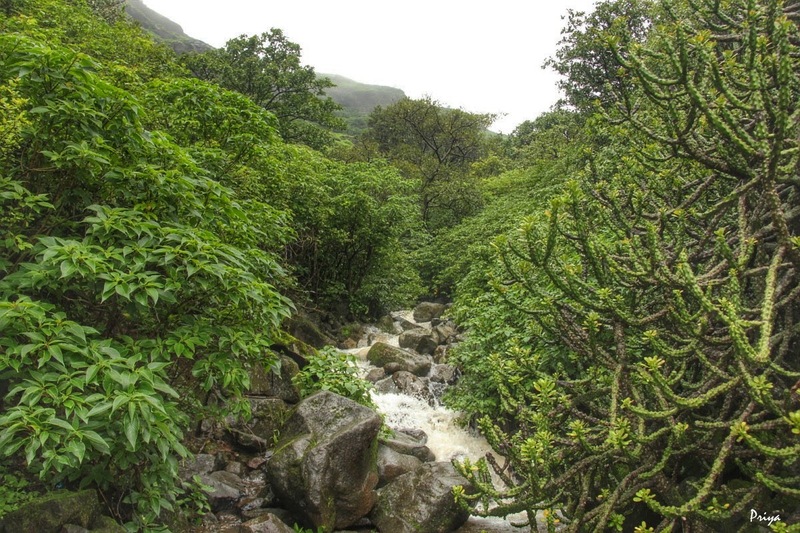 In retrospect, it was an insane thing to do, considering the slippery rocks, the depth of the water in places, the slick mud banks, the thorn bushes along the sides that offered no hold, and most of all, the sheer force of the water that tumbled downward over the rocks, hastily and urgently. Our guardian angels must have been working overtime that day, because at the end of it all, each of us was safe, unhurt and unharmed. When we touched the base of the hill, we weren’t quite at the place we had parked our cars. We discovered we were at a village way out on the opposite side of the hill – so we still had a really long way to go! Not the best thought when you’re tired, soaking wet and cold – and still in the rain! 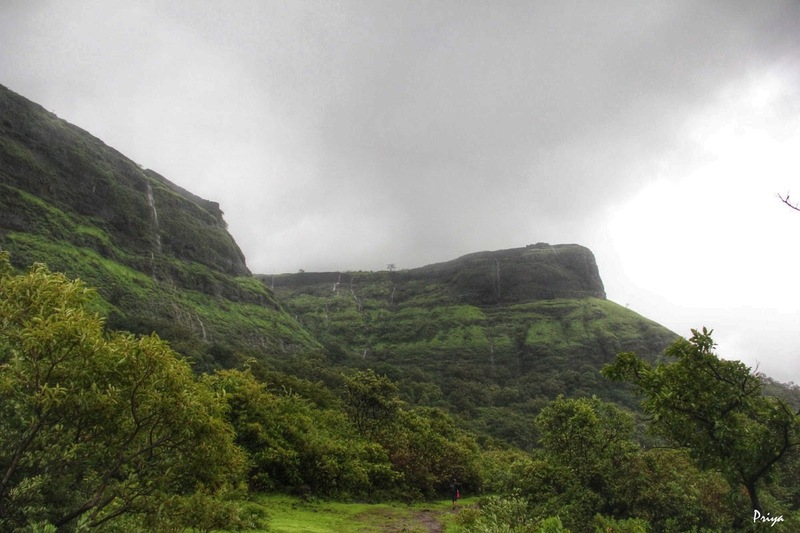 We split into two groups, one headed to the cars, and the other, to Lonavala. We all assembled again at Lonavala, in a restaurant that kept up its supply of hot beverages and warm, delicious food. 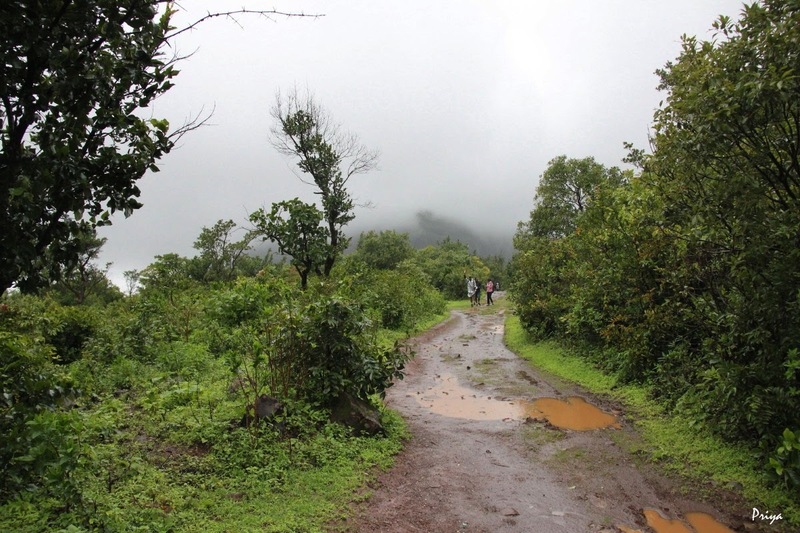 It was still raining when we left for Pune. 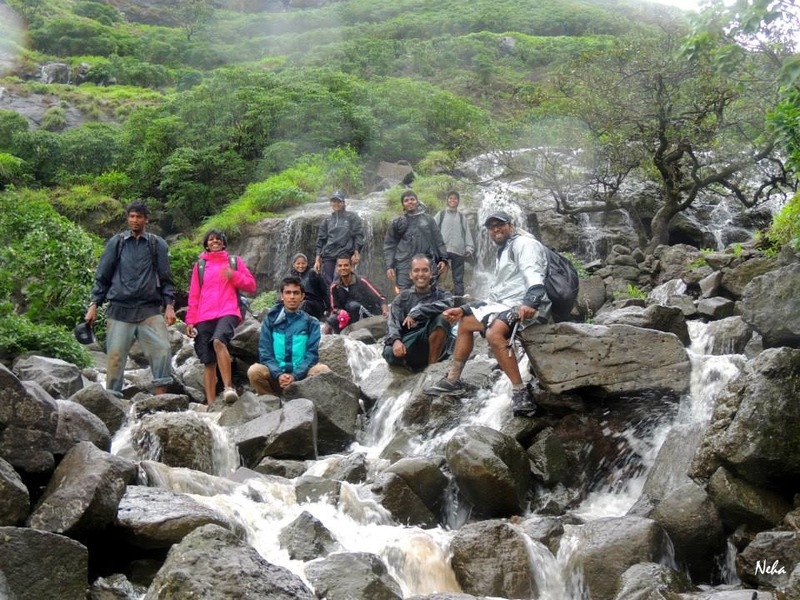 And we returned to the warmth of our homes with stories…of adventure, camaraderie, and the romance of the Monsoons. 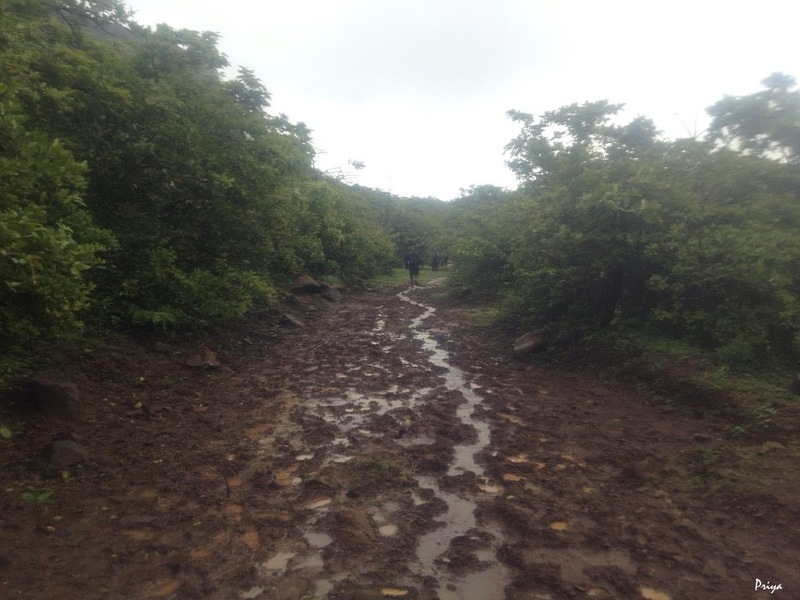 Such a wonderful account of the trek! 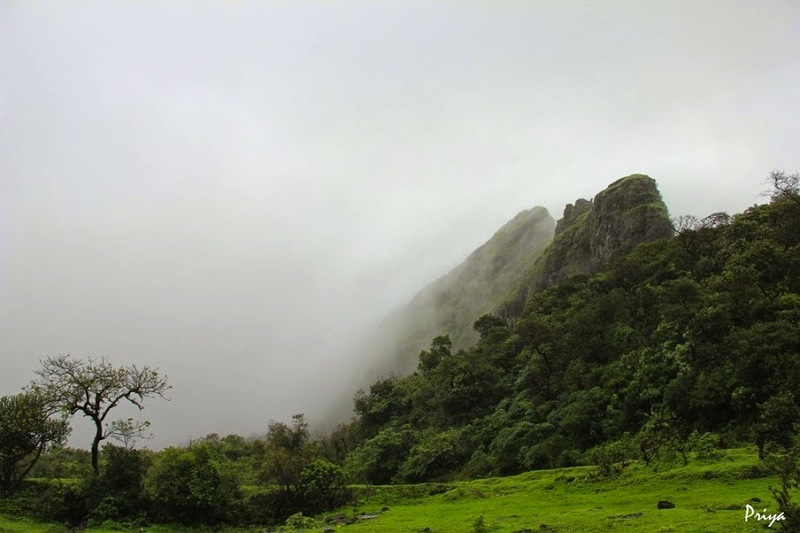 It reminded me of my own trek to Bhaje Caves-Visapur & Lohgad back in ’15. Thank you so much for visiting my blog and stopping to comment! 🙂 Your blog has some great information and stories too! 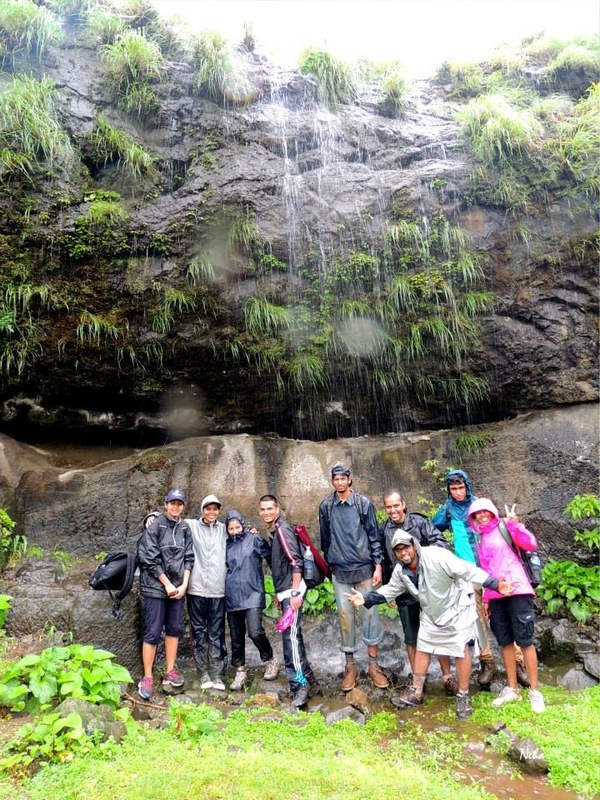 🙂 Enjoy the Monsoons, and more trekking! !